Conaway Family: What's been goin on! Alright! So a lot have happened since the last post, so I must catch you guys up on everything without making this post way too long! First off - Jeff & his team won in the first round of playoffs! This was a big deal - it has never been done in the school's history of GCT football! Our first game was in Magnolia which was forever away but we came away with such an exciting victory and had an amazing fan base that traveled with us! The second round of playoffs unfortunately did not have the same outcome! And ended up being a crazy night because as my family & I drove down to Monticello in Jeff's truck, so we could all ride together, we managed to hit a deer on the way home. But then Jeff got to stay the weekend with me at my parent's house so that was a good thing. This loss was very hard to take though. At least Monticello went on to win the state championship! 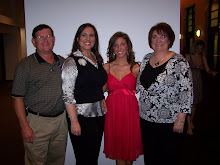 On December 19th 2009 I graduated with a Master's degree in Communication Disorders. This was a very big deal to me and I am so thankful God gave me the opportunity and ability to go back to school and get my masters! God has been faithful! My close friends & family planned a surprise bash for me which made me feel so special - thanks to everyone who helped! And on December 21, 2009 I was officially hired at the Brookland School district as a Speech-language Pathologist! God is faithful! And the biggest deal that has gone on since the last post is that we found out we will be welcoming a little baby into the world in late June! We found out in October and kept it quiet from public for a while to get to our first doctor appointment. In the mean time we told our families! And they have been beyond excited! Again, God is faithful! I guess I should start with Jeff... I took a test on a Thursday morning and was in disbelief, so I waited and said absolutely nothing to him and hid the test. Then I took another one Friday morning. Just in case the test was positive I went ahead Thursday afternoon and bought a picture frame that said daddy on it with scripture and a baby pillow that has a cross on it that says "bless this child." Friday morning I took the test and it was of course positive. I decided since he had a big game that night against a really tough team I needed to go ahead and share the news with him. So I called him into the kitchen and told him I had a "good luck" gift for the big game for him! (Side note - earlier this same week we found out our friends Josh & Kate were expecting their 3rd child) So he opened his gift and said "why did you give me a gift for Josh?" I said, no it's for you... he said "for real" He was excited and told me "congratulations" I just laughed because he was pretty much speechless and was unsure of what to say! He was thrilled and still is! He will be one amazing dad! The day after we found out we were pregnant Jeff wanted to immediately tell his family; therefore I had no time to plan! Jeff's sister, who just had a baby last June, was over and so was little Harleigh. We put Harleigh in Jeff's lap and I took a picture. Then his mom said "Jeff now don't you need one of those!" and so we ran with that line and I said "Yeah, I think it's June when he will have one!" Allison was just walking out the door to go run and heard me say that but thought if it's what she thought Jeff's mom would run out and get her before she left. Vicki(Jeff's mom) sat in disbelief, like - did I hear her right!?! And so all she could say was "really?" "are you kidding?" Then Allison finished her run and I told her I wanted to show her what I gave Jeff on Friday as his "good luck" present before the big game he had...she immediately said "dad, you're gonna be a dad! I knew that what you were trying to say when I walked out but was sure if that's what it was someone would have come to get me! This makes my day" They were all so excited, and there was still another sister of Jeff's to tell. Becky was at home and we all loaded up and went to her house! She thought something bad had happened; and we told her she was going to be an aunt again! She didn't know if it were me or Allison! It was great! She teared up and we all screamed and laughed! After that - it was going to be a couple of weeks before we saw my family again, so we decided to wait to tell them in person! They met us in Batesville for our football game and I was just praying we won - and we did. It was a big win that put us in the playoffs. So after the game Jeff got in the vehicle with me, Beth, Mom & Dad. I handed them all bags that were the same size just different color and told them we bought them a gift for making playoffs! They totally bought it. I counted to three and they opened up the bags! Inside dad's bag was a picture frame that says best grandpa ever with a picture of a sonogram I printed off the Internet & inserted, inside mom's bag was a picture frame that says look who loves grandma and inside Beth's bag was a little tile that said Aunt's are the coolest. They opened up the bags and screamed then jumped out of the car and gave hugs! It was priceless! Below are a few pictures from the baby reveal! The above photo is the photo I took of Jeff & Harleigh the day we told his family! The last four photos are the photos from the night of the reveal to my family! Can't you tell they were so excited!?! Coming up next... the Gender Reveal!!!! We will find out Feb. 11th! God is faithful even when I am not! Thank you God for all the blessings you have trusted me with! I am thankful! We are so excited for you guys!!! I love the picture of your parents from the night you told them you were preggers! Can't wait till February and see if it's a boy or girl! Praying for the three of you. So sweet! I loved the story of you telling Jeff but I can't believe you could not say anything for a whole day! 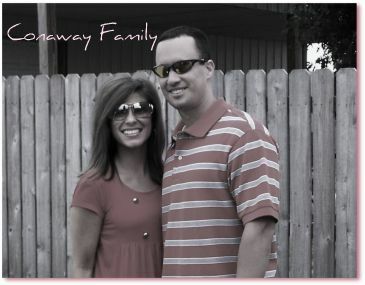 :) Cant wait to find out what baby Conaway is!! I am so excited for you both. You are are going to be the best parents. We just found out we are having number two come August. We have not told anyone really either so I guess I just kind of did :) We must catch up and get together. Miss, love you and and so excited to meet baby Conaway!!!! Congrats on the job and all the other wonderful things that have been going on. You deserve it all! Can't wait for the gender reveal! God is indeed so faithful! Jeff and I have been married for 9 years - amazing years! We are currently living in NEA! I am a Christian, wife, mom and Speech Language Pathologist! 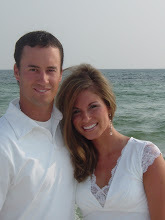 Jeff is the Head Football Coach at Greene County Tech High School in Paragould! Landry is our precious baby girl who is almost 2! 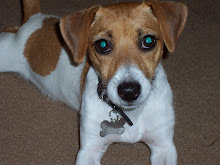 We also have a little Jack Russell Terrier; she is 8 years old - her name is Macey!